Rather than going straight to surgery, is there anything you can do to help alleviate the discomfort you experience when walking, sitting or moving? Don't despair. Check out the 5 things you can do at home to help alleviate your discomfort. 1. Apply a cold compress. To help alleviate the discomfort and inflammation caused by the bone spur, Healthline recommends applying a cold compress for 10 minutes at a time. Repeat this every hour during the day until the discomfort is gone. 2. Take anti-inflamatory medications. 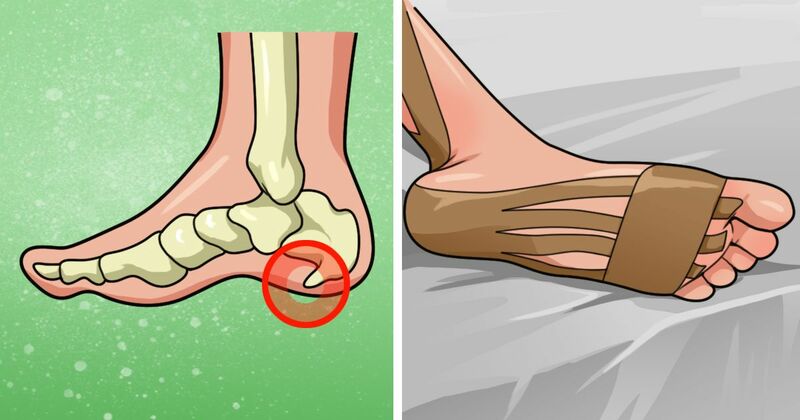 Since the bone spur is pushing into bottom of the foot or other tissue, emedicinehealth recommends taking an anti-inflammatory to help alleviate the discomfort. Things like Aleve, Advil or ibuprofen are some of the best over-the-counter medications. 3. Use an orthotic device. To provide cushion for the heel, emedicinehealth recommends inserting an orthotic device to your shoes. 4. Wear sports running shoes. Medicine Net recommends using running shoes to help cushion your heels as they have extra padding for the heels. 5. Eat healthy foods. If you suffer from spinal bone spurs, the Laser Spine Institute recommends eating certain foods to help heal. Leafy greens help with bone reabsorption and are a good source of calcium; citrus, tomatoes and berries contain a lot of vitamin C which is important to tissue healing; wheat bran/wheat germ contain betaine hydrochloric acid which keeps calcium crystals from forming; and beans and nuts are high in magnesium which aid in bone building.